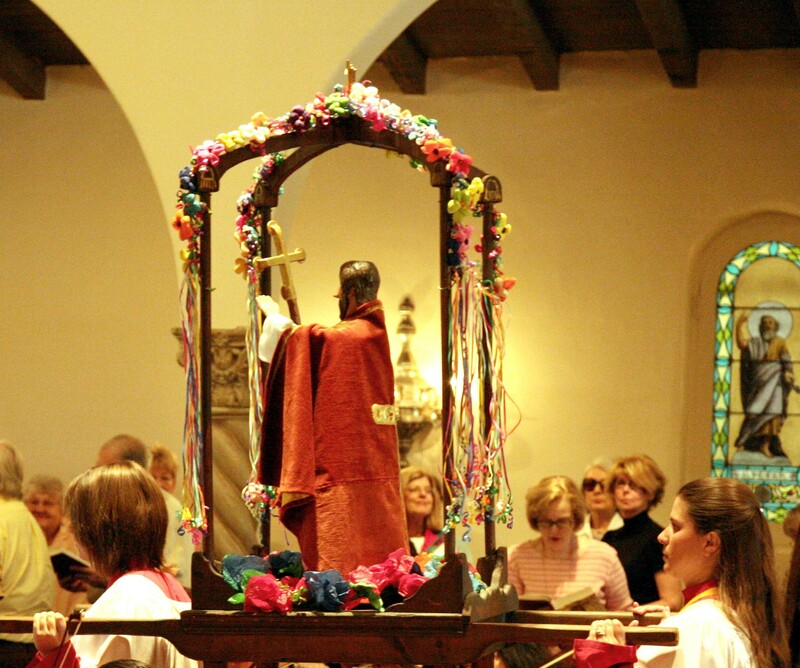 St. Philip’s In The Hills Episcopal Church observes the feast day of its patronal saint in early May each year. Liturgically, the day will be marked with special music. On Sunday, May 3, the 9 and 11:15 a.m. services will feature the thrilling Chichester Psalms by Leonard Bernstein, interspersed throughout the liturgy. St. Philip’s adult and youth choirs, with treble soloist, will be joined by members of the choir from Temple Emanu-El to present this monumental work, celebrating our joint Old Testament heritage and our community and friendship through music. This will be a rare occasion to hear the work sung with orchestra, including four percussionists. Well known for his striking musical language, as seen in West Side Story, Bernstein partners his musical expressiveness with one of the oldest of sacred texts, the Psalms. The public is cordially invited to attend. A freewill offering will be collected during the service. On First Sundays, St. Philip’s has a “food for hunger” food drive to replenish our food pantry to help our neighbors in need. Donations of non-perishable food in unbreakable containers are gratefully accepted. Also on First Sundays, St. Philip’s Prison Ministry accepts donations of new or used paperback books, on any subject, which are donated to Reading Between the Bars to be distributed to prisoners in Arizona. The day will include festivities in the Plaza beginning at 11:30 a.m. Activities include a dunking tank, karaoke corner, water activities for kids, and fantastic food. The cost for lunch is $7 per person ($20 per family), payable at the event. Proceeds support St. Philip’s J2A youth group. St. Philip’s is located at 4440 N. Campbell Avenue at River Road. Ample parking is available in the north parking lot or under our parking structure that houses our solar power array. The office phone number is 299-6421. 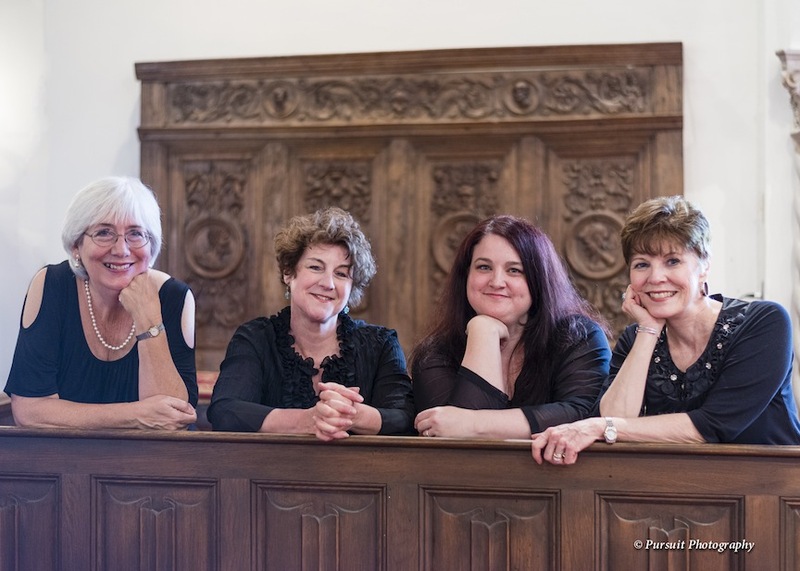 On Sunday, April 26, 2015 at 2:00 p.m. in the Church, St. Philip’s Friends of Music presents The Strauss Divas with sopranos Dianne Iauco, Mary Paul, and Amy Williams, accompanied by pianist Bonnie Bird. Richard Strauss’ preference for the soprano voice above all others is evident in his operas and songs. Three diverse sopranos (dramatic, lyric, and coloratura) combine forces to showcase some of Strauss’ most compelling, most beguiling, and most beloved vocal music, including selections from Der Rosenkavalier, Ariadne auf Naxos, Arabella, and a variety of songs. Dianne Iauco, Soprano. Dianne Iauco has been acclaimed by The New York Times, Indianapolis Star, Opera News and other leading publications across the U.S. for her distinctive timbre, effortless coloratura, remarkable vocal compass and her captivating presence onstage. A winner of the Second Opera Company of Philadelphia/Luciano Pavarotti International Voice Competition—after which she sang opposite Mr. Pavarotti—Ms. Iauco served as a principal artist at New York City Opera, Chicago Lyric Opera, Opera Orchestra of New York, Opera Columbus, Texas Opera Theater, Indianapolis Opera, and Western Opera Theater, Israeli Vocal Arts Institute, and numerous other regional companies. Born in Syracuse, NY, Ms. Iauco was raised in Indianapolis, IN, and received her bachelor’s and master’s degrees from the Cincinnati College‑Conservatory of Music, as well as an Artist’s Certificate in Opera Performance. A former national winner of the Metropolitan Opera auditions, she resides in Tucson with her husband, basso Arizeder Urreiztieta, and their daughter. Mary Paul, Soprano. Hailed for her flawless coloratura and impeccable phrasing, Mary Paul has been acclaimed in major roles in the operas of Mozart, Verdi, Donizetti, Johann Strauss and Richard Strauss, most notably as The Queen of the Night, Susanna, Blonde, Despina, Gilda, Oscar, Marie, Norina, Adèle, Sophie, Zerbinetta and Olympia. She has performed with the opera companies of Washington, DC, Miami, Utah, Arizona, Indianapolis, Sacramento, Chautauqua, Sarasota, Knoxville, Milwaukee, Chattanooga and Michigan, and as soprano soloist with Milwaukee Symphony, Chautauqua Symphony, Napa Valley Symphony, Bel Canto Festival, Chicago’s Dame Myra Hess Concert Series, Bella Carità Chamber Orchestra, and St. Philip’s Friends of Music concert series. A gifted and engaging teacher, Ms. Paul maintains a private voice studio in Tucson, AZ and has given guest recitals and master classes at New York University, Queens College, Aquinas College, University of Missouri-Kansas City, University of Wisconsin-Milwaukee, University of Utah, and University of Northern Iowa. Ms. Paul earned her bachelor’s and master’s degrees in voice at the University of Arizona, and resides in Tucson with her husband, baritone Lawrence Alexander, and their two children. Amy Street Williams, Soprano. Amy Street Williams has been singing in the chorus of the Arizona Opera Company for past 15 seasons. She has sung in 39 productions with the company both as a chorister and in comprimario roles. She studied voice at Indiana University with Teresa Kubiak and Virginia Zeani. While she was there she sang the role of the Beggar Woman in their production of Stephen Sondheim’s Sweeney Todd. Recently she sang the role of Olga in Franz Lehar’s The Merry Widow and the role of The Monitor in Giacomo Puccini’s Suor Angelica with the Southern Arizona Opera Company. She lives in Tucson, studying voice with Lawrence Alexander and coaching with Bonnie Bird. Bonnie Bird, piano. Bonnie Bird studied at the Juilliard Prep Division as a teen, later earning a bachelor’s degree in piano from Westminster Choir College in Princeton. She continued her musical studies at the University of Denver Lamont School of Music. She later earned a Master of Music degree in accompanying and voice from the College Conservatory of Music at the University of Cincinnati. Following a year of teaching at CCM, she spent six years at Edgecliff College in Cincinnati as instructor in voice and opera. Following a 20-year residence in Germany, Ms. Bird now makes Tucson her home and is on the staff at the University of Arizona School of Music voice department as an accompanist and coach. She also maintains a private voice studio. 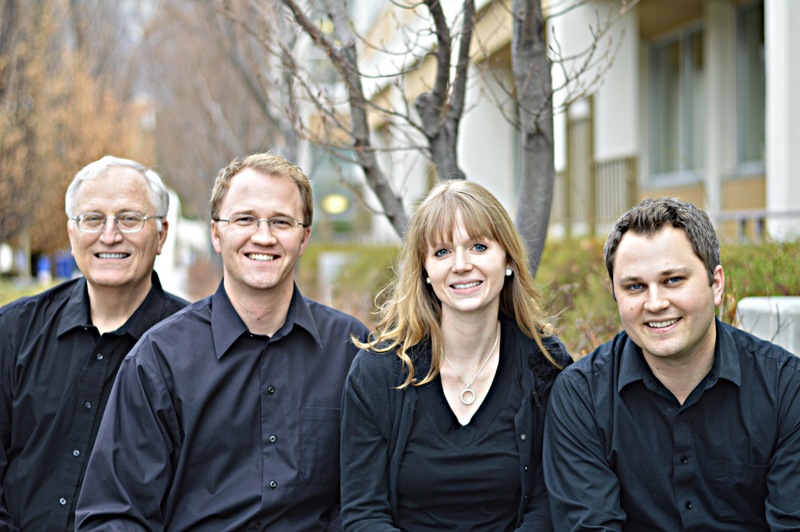 On Saturday, April 11, 2015 at 7:00 p.m. in the Church, St. Philip’s Friends of Music presents WoodsMusick. The legend of the phenomenal Woods family — University of Arizona Professor of Music Rex Woods, piano; Alexander Woods, violin; Aubrey Woods, violin; and Garrick Woods, cello — sees its next chapter in a program of the finest chamber music gems that includes a premiere by University of Arizona Professor Emeritus Richard Faith of Quintet for Strings and Horn with Daniel Katzen. WoodsMusick will showcase the lyricism, virtuosity, and beauty of treasured chamber works for strings and piano. Pianist Rex Woods has performed in the United States, Canada, Mexico, France, China and Australia, but is best known to regional audiences for his frequent artistic performances as both a soloist and chamber musician. He received his musical education at Brigham Young University, the University of Arizona, the University of Southern California, and the American Conservatory at Fontainebleau. He was awarded the Otto Guth Memorial Award from the San Francisco Opera Center for excellence in vocal coaching and was the recipient of the Premier Prix de Fontainebleau in chamber music. Since 1988, he has taught at the University of Arizona. His recording credits include Summit label recordings as a member of The Bruch Trio along with clarinetist Jerry Kirkbride, and violist Jessie Levine. Alexander Woods, violin, has been hailed by the New York Times as both a “showstopping” violinist as well as a “deft and sensitive accompanist.” He has studied with many of the world’s great violinists and pedagogues including Pinchas Zukerman, Itzhak Perlman, Syoko Aki, and Mark Rush, and enjoys passing on the great violin tradition with students. He is in demand as a chamber musician, soloist and orchestral musician in New York City and abroad, performing most recently at venues such as Carnegie Hall, Symphony Space, St. Paul’s Chapel at Columbia University, the World Financial Center, and Trinity Wall Street Church. He frequently performs with the world-renowned Talea Ensemble, the Sebastian Chamber Players, the Clarion Society, Ensemble ACJW, and the Orchestra of St. Luke’s, and is a member of the early music group TENET. He has worked closely with some of the most prominent modern composers, including John Adams, Alvin Lucier, John Zorn, Tod Machover, Ingram Marshall, and Tarik O’ Reagan. Aubrey Woods, violin, is a sought-after soloist, chamber musician, and orchestra player. In her young career she has performed as soloist and section player with ensembles throughout the United States, France and China. In a recent performance as concertmaster, performing Strauss’s Ein Heldenleben her solos were described as being “played with feeling and expressiveness, and shimmering beauty” (reichelreccomends.com). Last summer Aubrey toured China as a soloist performing The Butterfly Lover’s Concerto in several major cities. In addition, Aubrey has performed as a period violinist with the Musica Angelica Baroque Orchestra in Los Angeles and the Sebastian Chamber Players in New York City and Connecticut. She is a graduate of Brigham Young University in violin performance.